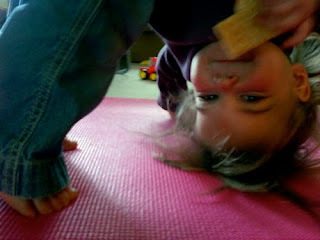 Miss Rachel Lynn has been practicing her Downward Dog. Can YOU rock a hands-free version whilst eating a cracker and flirting with your godmother?? Me neither. Told you she's a prodigy.